For students looking for a fast-paced and competitive education in Ultrasound Diagnostics, the one-year program offered at the Institute of Ultrasound Diagnostics is the fastest way to begin a career as a sonographer. In one short year, students will receive the knowledge, skills, and training necessary to successfully gain employment as an entry-level ultrasound technician. As opposed to traditional college or university programs that consist of 18-24 months or longer, at IUD, our students complete their study through an accelerated program that puts them on the fast track to success right from the start. The One-Year program moves at a very fast pace and requires a mature, focused, and dedicated student. This accelerated program is offered to individuals enrolled as either resident or distance learning students. IUD is one of only a limited number of schools across the nation that offers a Distance Learning educational option that complements its on-campus courses to its sonography students. Throughout the One-Year program, all students, whether local or distance, will receive the same instructional, didactic and clinical training under closely monitored supervision. As a full-time, day program, all registered students are required to participate in a mandatory 3-week “Sonography Boot Camp” before beginning a weekly schedule that includes dedicated time for in-class instruction and clinical rotations. Due to the accelerated nature of this program, it’s important for all students to have good time management skills and be extremely self-motivated to experience educational success through the Institute of Ultrasound Diagnostics. Before being accepted into the One-Year sonography program, all applicants must: be at least 18 years of age, must be a graduate of an accredited High School or high school equivalent (GED), and have successfully completed a series of eight (8) college entry-level, pre-requisite courses. By eliminating these classes from IUD’s curriculum, students can focus all of their learning on course-specific material right from the start. Mandatory 3-week “Sonography Boot Camp” for all sonography students. Students have the option to stay for an additional 1 to 2 weeks for extended scan labs and mock clinicals at no additional cost. IUD encourages students to stay at least 1 additional week. After the boot camp is completed, weekly training for the remainder of the course consists of in-class didactic instruction (including lectures, quizzes, tests, and modules) every Monday and Friday, while clinical rotations, occur Tuesday through Thursday each week. Before clinical rotations begin, students receive 3 weeks (1 to 2 additional weeks optional) of scan lab training where they learn how to use the machine and manipulate the transducer. During this time students also learn how to scan and recognize the normal anatomy of the pelvis and abdomen. Students’ clinical rotations begin once the lab training is complete. Much of the in-class instructional time will be focused on teaching students normal OB/GYN and Abdominal Sonography. During clinical rotations, students will have the opportunity to gain additional hands-on experience within a variety of medical settings and specialties scanning real patients. These clinical site locations may include hospitals, outpatient clinics, and mobile units. Varied medical settings will prepare students for a variety of possible work environments upon course completion. Some clinical rotations may include neonatal neurosonology, vascular, and transvaginal sonography as well as high-risk obstetrics. Please note that all distance learning students are accepted into this program based on pre-approval of clinical sites in their area of residence and program requirements. 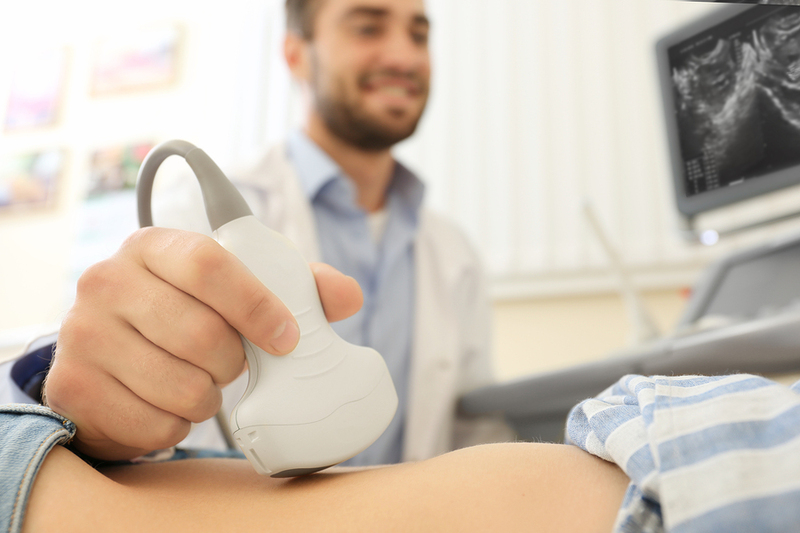 If you are looking to begin a career as a sonographer and feel the fast-paced environment and hands-on training offered at the Institute of Ultrasound Diagnostics is the right fit for you, apply to IUD today. Classes are beginning soon.